In an at-will setting, like in California, an employer or employee may terminate their relationship at any time with or without reason. By at will, it means employees do not have formal employment contract, or if a written contract exists, it contains an at will clause. This means an employer cannot fire an employee if it will undermine a federal or state law or public policy. For instance, if employers fire employees for filing worker’s compensation claims, they are violating the state law that provides this benefit for injured workers. The employer’s action therefore undermines the public policy behind those laws. Under the Civil Rights Act of 1964, employees are granted protection from terminations arising from issues such as race, gender, color, religion, and national origin, among others. Other federal and state laws also prohibit discrimination based on age and disability. Basically, under discrimination laws, firing an employee based solely on these grounds is considered illegal. Similarly, most workers are covered by whistleblower statutes to protect them from being fired for informing a state or regulatory agency about their employer’s misconduct. However, employees are not protected for other types of disclosure such as telling a friend about the employer’s misconduct or reporting the employer’s violation to the news media. An employee may not be terminated from work if the employer fails to follow a certain procedure that precedes the termination, as outlined in an employment manual or handbook. If such document states that employees will be fired only for cause, an employer must document valid cause other wise the termination is illegal. An employer cannot terminate a worker in retaliation for an act such as whistle blowing or as a form of sexual harassment to a worker. Terminating an employee in retaliation for refusing to do or commit an illegal act is also prohibited by both federal and state laws. An employee may file a wrongful termination claim against an employer if his discharge violates a provision of collective bargaining agreement. Although as member of a protected class, a victim of wrongful termination, however, cannot immediately bring an employer to court for these violations. Instead, under federal laws, he/she must first file a complaint with the Equal Employment Opportunity Commission (EEOC) or with the state Department of Fair Employment and Housing (DFEH). 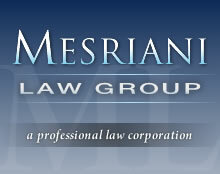 Depending on the nature of the complaint, a victim of wrongful termination may recover damages from wrongful termination that include, among others, back pay, reinstatement, promotion, front pay, compensatory damages, required reasonable accommodation, injunctive relief, punitive damages, and attorney’s fees.